The winning team of a “Global Legal Hackathon” recently hosted by Orrick, Herrington & Sutcliffe aims to provide a platform to fund and expedite class action suits using blockchain technology. 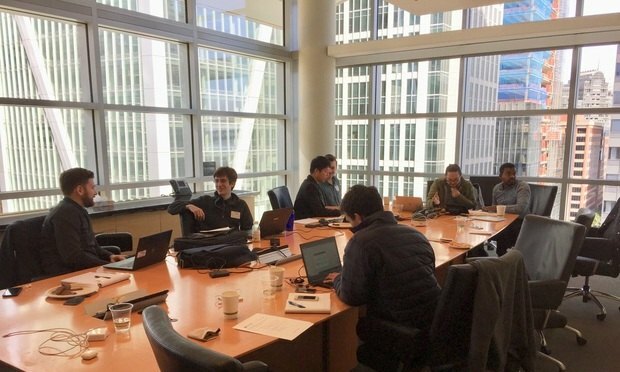 The winning team of the recent “Global Legal Hackathon” hosted by Orrick, Herrington & Sutcliffe in San Francisco seeks to provide a platform to fund and expedite class action suits using blockchain technology. Pepperdine unveiled a new $2 million donation from Carrol and Rex Parris, which will endow the five-year-old Parris Institute for Professional Formation. The school has netted $20 million in endowments over the last two years. The death of a defendant before a lawsuit is filed or during the pendency of a lawsuit creates very complex issues and is procedurally taxing for any plaintiff lawyer.